Blogging Is Just One Type Of Content. Here’s What We’re Doing Next. There’s a lot more to content marketing than blogging. ^ That’s something you hear a lot in the content marketing industry. So we’ve decided to expand the kinds of content we publish at CoSchedule to help you solve complex marketing challenges in more ways than just reading ye olde blog posts. A CoSchedule podcast series and video series are on our active projects list right now, and we’ve already started recording some awesome, actionable goodness for you. Why this little boy who is super excited has a huge knife… I’ll never know. What if you could make the most of your commute or exercise routine by listening to actionable advice from the pros who’ve already solved super tough content marketing challenges? That’s the goal behind the Actionable Content Marketing podcast, a weekly series coming this fall. You’ll learn planning and organization strategies from leading editors, content marketers, project managers, influencers, and more. Janna Maron, Managing Editor at Smart Passive Income, shares how to bank content to have an entire month’s worth of projects done at any given time—a whopping 32 pieces of content—while also planning ideas months in advance. She’s an editorial management mastermind. Dustin Stout, selected by Social Media Examiner as a top 10 social media strategist and Co-Founder of Warfare Plugins, shares how to create insanely sharable social media content. Kyle Deweerdt is the Marketing Programs Manager at Apprenda who shares how to solve marketing fire drills before they become emergencies. Chris Dessi is the founder of Silverback Social, a regular columnist at Inc.com, and an all-around branding strategist. Chris shares how to build your personal brand, demand influence for your business, and stay relevant in any industry. Tara Clapper is the blog editor at SEMrush who shares the secrets behind editorial management strategy, publishing consistency, and organization. Kathryn Nyhus is our very own Product Marketing Lead here at CoSchedule. She shares how to market a brand-new product to your audience to create big demand. There is a lot more actionable goodness to come, too, from some big names and brands I know you’ll love. 1. Subscribe to this exclusive podcast email list now, and I’ll immediately send you three rough cuts of our first episodes just because you’re awesome. 2. Email me the names of people you’d love to see me interview or topics you’d like me to explore. This is all for you, so let me know what you need to manage your content better than ever by emailing me at nathan@coschedule.com. It’s kind of like what we’d talk about around the water cooler, only we drink less water and share more helpful advice on how we grow our company. You’ll learn a lot about the processes we’ve used behind the scenes to become the fastest growing startup in North Dakota, and you’ll get the chance to meet the team that builds the marketing calendar you love. Justin Walsh, our Co-Founder, shares how we choose which features to build in CoSchedule with a behind-the-scenes look into our product roadmap process. Lance Hendrickson, our Customer Success Lead, shares how we’re making the transition from reactive customer support to proactive customer success and our lessons learned along the way. 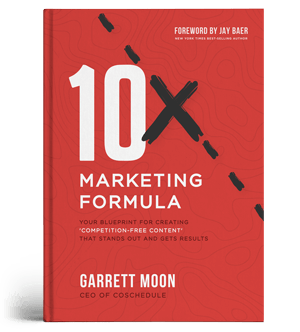 Ben Sailer, our Blog Manager, shares how the Marketing team comes up with tons of ideas in 30 minutes to completely fill up our content calendar for months. Nathan Ellering, our Content Marketing Lead (ahem, that’s me), will share how we embrace the unknown and start anything we set our minds to, and how you can do it, too. We have a lot to share since we try to do in three months what a traditional company does in a year. There’s a ton of fast-paced advice you can use at your company, too. 1. Subscribe to this video-specific email list to be the first to watch the new videos as they launch this fall. 2. Tell me what you’d like to know about CoSchedule, and I’ll do my best to turn your question into a video. Email your ideas to me at nathan@coschedule.com. You’ve come to trust the kind of content we publish at CoSchedule to dive deep into actionable advice to solve a specific problem you’re facing. We’re applying that same mentality to make the best podcasts and videos on any topic we cover. 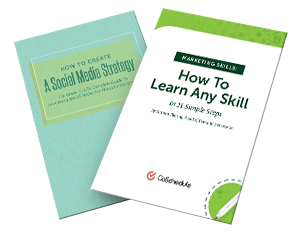 You’re just going to get a couple new and different ways to learn more about planning, managing, organizing, and executing your marketing and business strategies. Thanks a lot for all of your support, for reading the blog, for using CoSchedule, and especially for your eagerness to consistently improve. You make what we do here at CoSchedule possible, and we’re excited to help you even more. Good luck with your marketing. You’ve got this!